For these photos I used a program called Snapseed. You can also use it on an iPad, iPhone, Windows, Mac and soon Android. It is pretty robust with textures, HDR, vintage and so forth. Check it out. Watch their video. It's perfect for lazy editors like me! I love Snapseed! Must get it for my iPhone. I do love your birds! They are so beautiful and so are your captures! Thanks for the info regarding Snapseed, I'll take a look! Hope you have a great weekend, Reena! Enjoy! The pictures are all amazing, especially the last one. I have seen Snapseed in my app searches. I will have to go back and give it a second look now. I have about six editing apps on my iPad, but don't use them that much because all my photos are on the computer and it is a pain to send them over, then back. 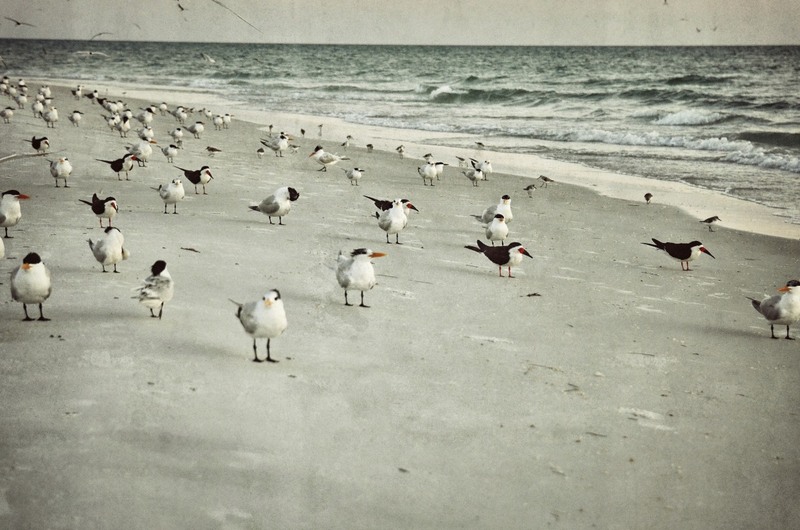 I never mind sharing the beach with feathered friends. Love that last shot! Your pictures speak for themselves, beautiful. Beautiful beach. Beautiful birds. I especially like that flight shot! Absolutely lovely. Your photos are so life like I feel as if I'm on the beach with you. Very nice. And, I bet the food at that restaurant next to the ocean is marvelous. That looks like a fun time. Well, these are absolutely stunning so I'm on my way to check out Snapseed right now! I agree! 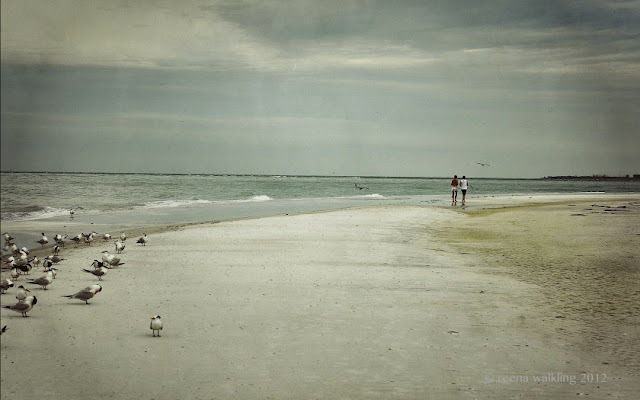 I am in awe when I stand on the beach! Hmmmmm.... I have never heard of snap speed, or skimmers. Guess you learn something new every day. I'd love to be on a beach right now. Thanks for sharing yours. Lovely shots. Beautiful photos! 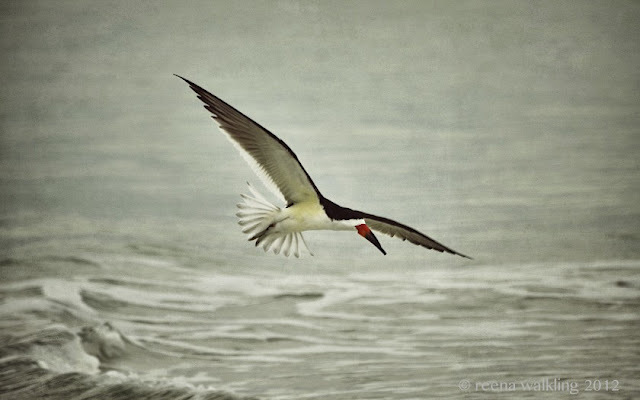 I love seeing skimmers on the beach~they are such cool birds! i love snapseed but have only used it on my iPhone....love your birds !! Pictures tell the beauty for most of the times. Gorgeous photos! I can feel the serenity! Awesome effects, I'll have to head on over and check it out. I love the third and forth photo. Thanks. Your photos are so beautiful you don't need words. 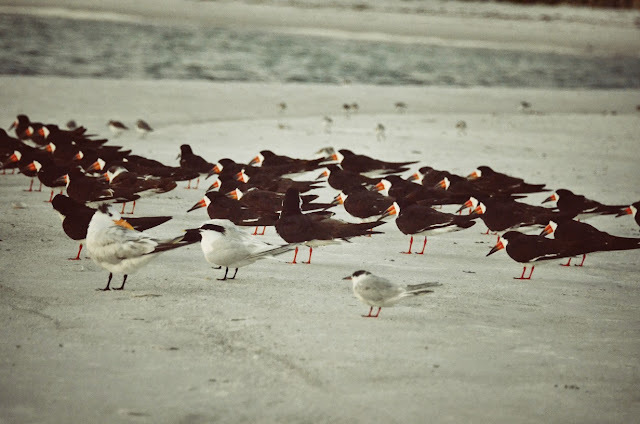 Reena, I love your Black Skimers. They are wonderful birds. Wonderful photos. Just beautiful. I especially love the last photo on the previous blog post. The pelican photos... wow. 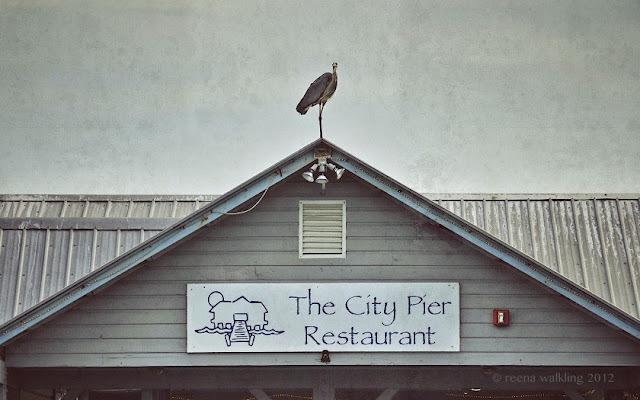 I love that the pelican was able to protect his dinner. Gorgeous. I will try snapseed to see what it does for my pictures. Reena, you're right, now words needed--Amazing pictures!! I hope you're doing well, and enjoying your weekend!! when I soak in your photos. I use Snapseed often on my iPhone pics and never realized that you can use it for photos on your hard drive...good to know because it is so quick and easy...and I am sure I am a lazier editor than you! Beautiful series, it does not need many words! Lovely I can just imagine myself walking there. Beautiful images, I love the Royal Terns, superb. Such great photos. The editing look great. I am at the beach myself and loving every minute of it.. Carlsbad Beach in California. I really haven't seen many birds hanging out on the beach.. Just some seagulls flying over head! Oooooo... I love beach scenery... these are wondrous! Amazing!!! I've never seen a bird with that bill before!